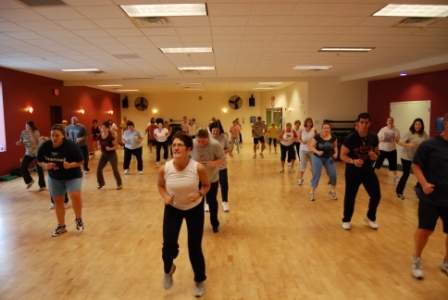 The Zumba fitness classes in North Attleboro, MA are exhilarating which makes them a fun way to lose weight. These dancercise routines are so enjoyable you will burn excess fat and have fun. Zumba fitness is cardio-conditioning and body-toning all in one. Because you will be dancing to a mix of up-beat Latin and modern music, you will tone and sculpt your body without trying and without enduring undo impact on your joints. This is a low-intensity but fun-filled workout that incorporates dance routines that are extremely helpful weight loss. Zumba fitness classes allow you to move to the beat at your own pace. It is safe to say that these dance-fitness classes are perfect for both novices and pros. There are no dance moves to memorize, all you need to do is follow the instructor in front of you. Modifications can even be made in the routines. To find out all there is to know about Zumba fitness classes, contact Answer is Fitness.